When you are searching for Volvo 264 parts, it is important to know that you have a go-to source where you can find reliable, authentic parts. At eEuroparts.com, we hope to be your automotive parts partner. Here, you can find a wide assortment of 264 parts. The 264 was first introduced to the consumer market in the autumn of 1974. This vehicle was designed to serve as the successor to the previous Volvo 164. The Volvo 164 had actually been designed based on the previous 144. Consequently, the 264 was later designed based on the Volvo 244. There were quite a few changes made to the 264 but perhaps the most startling change that appeared in the new vehicle was the presence of a more prestige-type style to the front of the 264. In addition, the new 264 also offered a completely new engine. This new V6 engine offered a displacement of 2.7 liters. In order to provide the greatest performance possible, the engine for the new Volvo 264 had been developed in collaboration with Renault and Peugeot. Crafted entirely of aluminum, this new engine would later become referred to as the PRV engine. 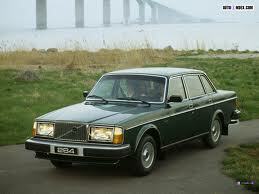 First produced in 1975, this 264 from Volvo was manufactured until 1982. There were more than 132,000 vehicles produced as part of this line of vehicles. No matter what type of Volvo 264 parts you may need for your vehicle, you can rest assured that you will find whatever you may need at eEuroparts.com.